A weak South African rand has been getting a lot of bad press and has made travelling to some parts of the world difficult for locals, particularly when measured against the dollar, pound, and euro. But South Africans are learning that the world is vast and that there are some places where the rand is strong which means international travel and intercontinental flights can still be affordable. Consider these five countries if you are looking for a good value holiday that won’t leave you in debt in 2019. *NB exchange rates valid as of 6/02/2019. Exchange rate R1 will get you 2.30 Thai Baht. Thailand is a popular beach island holiday destination for South Africans. A meal there can cost less than R50, if you’re willing to sample local street food and stay away from the tourist trap hotspots. Depending on where you stay, you can also find beachfront accommodation that costs around R500 a night. Exchange rate R1 will get you 1.56 Czech Koruna. 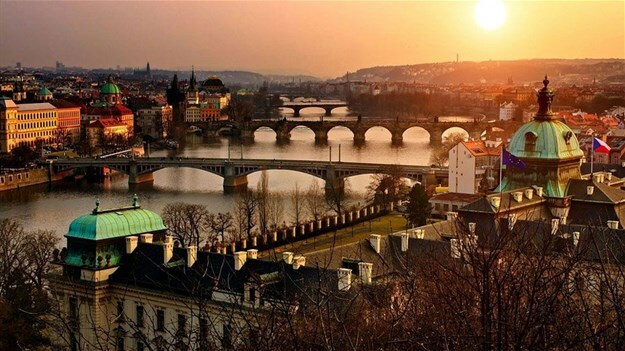 Prague is the capital city of the Czech Republic and is one of the most beautiful cities in the world. This historian’s dream destination has lots of cultural attractions and the centre of the city - the 14th largest in the world - has been declared a UNESCO world heritage site. A straightforward meal for two will cost around R300 and a cup of coffee will set you back around R40. Travelling by taxi during business hours can be expensive, so plan your day around sights that are within walking distance of each other which will incur minimal transport costs. Exchange rate: 1 South African Rand equals 8.56 Nepalese Rupee. A trip to Nepal will offer a cultural treat without breaking the bank. A meal can cost as little as R30. While there are luxury hotels that offer five-star rooms costing around R2,000 a night, Nepal is better known for its hiking trails through exquisite scenery that also offer very cheap camping options. Exchange rate: R1 will get you 4.93 Russian Ruble (RUB). Russia doesn’t immediately strike one as a holiday destination, but not only does it share a border with 14 different countries, it also has breath-taking landscapes that stretch out into the Black Sea. A simple meal costs around R100 and there are some good hotels that’ll cost less than R1,000 per night. Exchange rate: R1 will get you 0.27 AED. With cheap flights to Dubai from most of our major airports, this is a cheat addition to the list, only because the Dubai Dirham is only slightly stronger than the rand. This means a holiday in this magical city is still not likely to cost a fortune depending on the choices you make. The slightly weaker rand might not be that much of a problem if you head over there during the retail sale season as items are often sold off the shelves at near cost price. If you would prefer to stay away from mall mania during your holidays you can still visit several Souks where you will find an array of beautiful Middle Eastern items for next to nothing. While Dubai has some of the most luxurious and expensive hotels in the world, there are also regular hotels that cost much less. Just because your trip doesn’t include the world’s major tourist hubs doesn’t mean you’re missing out on an amazing holiday. With a little extra research and the cheap flights to Dubai which is a great hub to the rest of the world, you can find cost-effective ways to discover lesser-known areas of the world. SA Airlines is a leading South African destination for everything from cheap flights in SA to carrier overviews, airport information and live SAA flight status updates.